Have you been involved in an accident at work in the construction industry that wasn’t your fault? Did you suffer personal injury as a result of an accident in the construction industry? Speak to one of our friendly, expert solicitors on 01925 937070 or complete our Building Site Accident Enquiry Form. A worker on a construction site is six times more likely to be injured or killed whilst at work. Whilst the UK has one of the better safety records in Europe, our construction sites still account for one third of all work fatalities. Our solicitors can help on a ‘no win, no fee’ basis to ensure you get the compensation you deserve for your building site accident. If your next of kin has suffered a fatality on a construction site we can help you to claim compensation. Making a claim for compensation will obviously not be the first thing loved ones think of at such a tragic time but in some cases the compensation will be essential for the family to carry on after the death. Strict time limits apply in personal injury and our expert solicitors can guide you through the process step-by-step. Email Diane Massey on diane@dsmlegal.co.uk, telephone 01925 937070 or complete our Personal Injury Claim Form. We’re more than happy to answer any questions you may have. Injuries caused by failure to provide adequate safety equipment or protective clothing. If you are worried because the claim is against your employer please note your employer cannot dismiss you for making a compensation claim for an accident that you have had on a building site at work. This is not a legally justifiable reason to dismiss an employee, so could amount to unfair dismissal. We are local solicitors in Warrington, Cheshire and we accept claims from across England and Wales. Call us on 01925 937070 for a free, confidential chat with a solicitor or click here to complete our Construction Accident Compensation Claims Enquiry Form. We can assist with personal injury (accident claims including fatality claims), medical negligence claims, criminal injury compensation claims, employment law claims, oaths, affidavits and statutory declarations, wills and probate, powers of attorney, settlement agreements and professional negligence claims. 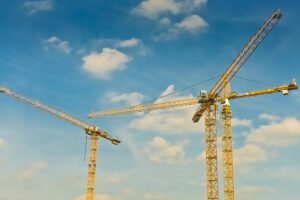 Why should I use DSM Legal Solicitors for my construction site accident? No Win, No Fee – no risk guarantee. Home or hospital visits arranged. Evening or weekend consultations by arrangement. Only a full qualified solicitor will deal with your claim meaning you receive the best possible service and best possible outcome. We keep you regularly updated. Our office in Warrington, Cheshire has free parking and disabled access including a lift and disabled toilets. We are minutes away from Junction 8 of the M62. Please contact us to make an appointment, email diane@dsmlegal.co.uk or complete our Personal Injury Claim Form. If you have suffered an accident at work which was not in the construction industry, you can visit our Accident at Work home page or our Personal Injury section to see what other accident claims we dealt with. If you’re involved in an accident at work and you are looking to make a claim for compensation you will be required to provide a certain amount of information about your ordeal in order to process your compensation claim. Download and print out DSM Legal Solicitor’s accident at work checklist to provide a guideline of what details you need in order to help your claim achieve the highest amount of compensation.